Who is the little Picasso in your family? You may want to grab them and show them the newest and coolest invention for those who like to mix technology and art together. Introducing, the Nomad brush. Nomad Brush, the industry leader and creator of the original paintbrush stylus for touch-screen tablets, premieres the latest in its award-winning Nomad digital brush line with the Nomad Mini 2, a compact, ultra-portable (retract and go) design with dual tips for creating masterful digital art and every-day navigation on your touchscreen device. The Nomad Mini 2 features dual tips with a smooth retracting mechanism to protect the brush tip. One tip features a flexible, soft brush, which provides superior feedback, while the other end features a 5.5 mm replaceable rubber tip for fine-line work and easy navigation. The body of the Nomad Mini 2 is made of precision-milled metals, and comes in black and chrome. The Nomad Mini 2 is available today for $35.00 at www.nomadbrush.com. 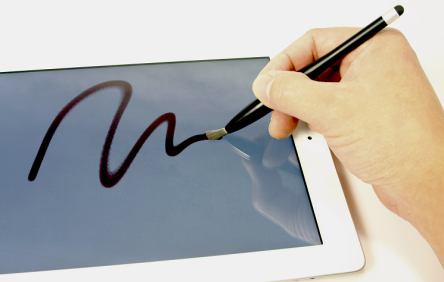 Nomad Brush brings the natural texture and precision of using a paintbrush to any digital drawing app on the iPad, iPhone, Android, Surface and all capacitive touchscreen devices. Nomad Brush offers a list of recommended drawing apps here. 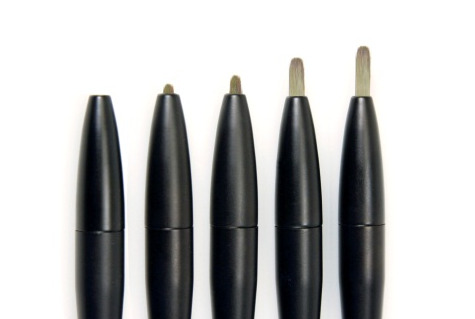 Founded in 2011 and based in Portland, Ore., Nomad Brush invented the first paintbrush stylus for digital screens. The company is dedicated to inspiring and facilitating artists to create in their daily lives, wherever they are, with brushes for both large and small touch-screen devices, such as the iPad and iPhone. Nomad Brush is active in the art community by hosting, sponsoring and facilitating digital painting and design competitions and workshops. More information on Nomad Brush is online at www.NomadBrush.com, on Twitter @nomadbrush or on Facebook at http://www.facebook.com/nomadbrush. I was provided a Nomad Brush as a thank you. There was no monetary compensation for writing this post. The opinions and views are my own.